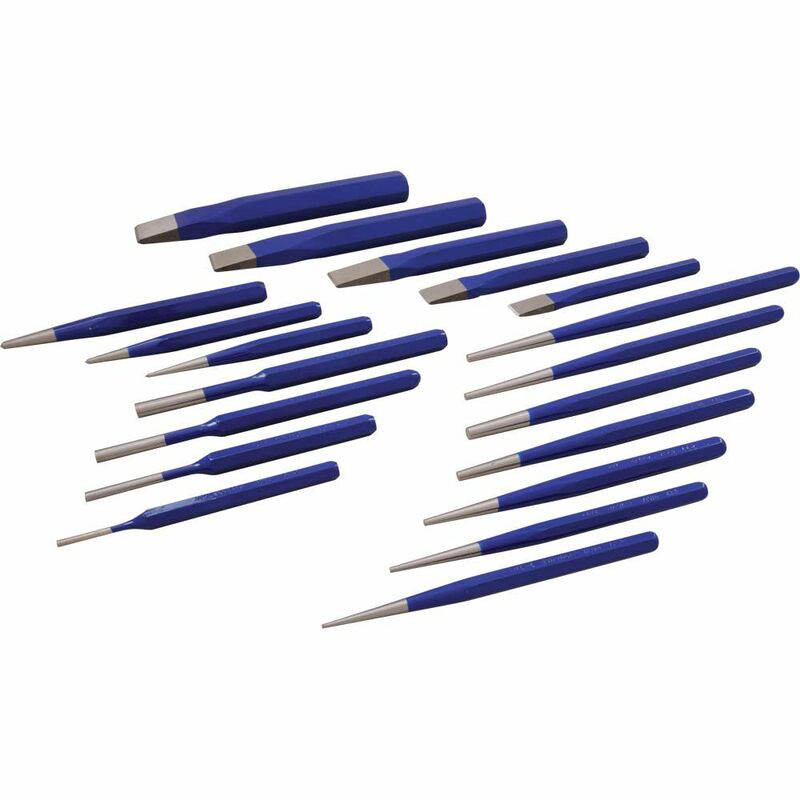 The punches and chisels in this 19 piece set are specially heat-treated to provide a hard working end and softer striking end to avoid chipping. All Gray punches and chisels are made from the highest quality materials for maximum tool life. Made in Canada and backed by Gray Tools worry-free lifetime warranty. Contains: Flat Chisels 1/2", 5/8", 3/4", 7/8", 1", Long Taper Punches 5/32", 3/16", Prick Punch: 3/8",Taper Punches 1/16", 3/32", 1/8", 3/16", 1/4", Pin Punches 1/8", 3/16", 1/4", 5/16" and Centre Punches 3/8", 1/2". Specially heat-treated to provide a hard working end and softer striking end to avoid chipping. This all-in-one home project kit makes hanging photos, shelves or anything else you want level as easy as falling off a log. The kit includes a stubby hammer with a non-slip ergonomic grip, electronic stud finder for mounting photos securely to the wall, a simple-to-use level and a wide selection of hooks with which to hang your photos, paintings or pictures. Plow through masonry jobs with ease using the ultra-durable 7-inch self-sharpening flat chisel from Hilti. With an innovative polygon design, this 9/16-inch W carbide device is engineered to sustain its sharpness without any loss of breaking power over its life span. Its 10 mm shank diameter is fashioned to fit any rotary hammer with an SDS-Plus chuck size. 19 Piece Punch And Chisel Set The punches and chisels in this 19 piece set are specially heat-treated to provide a hard working end and softer striking end to avoid chipping. All Gray punches and chisels are made from the highest quality materials for maximum tool life. Made in Canada and backed by Gray Tools worry-free lifetime warranty.